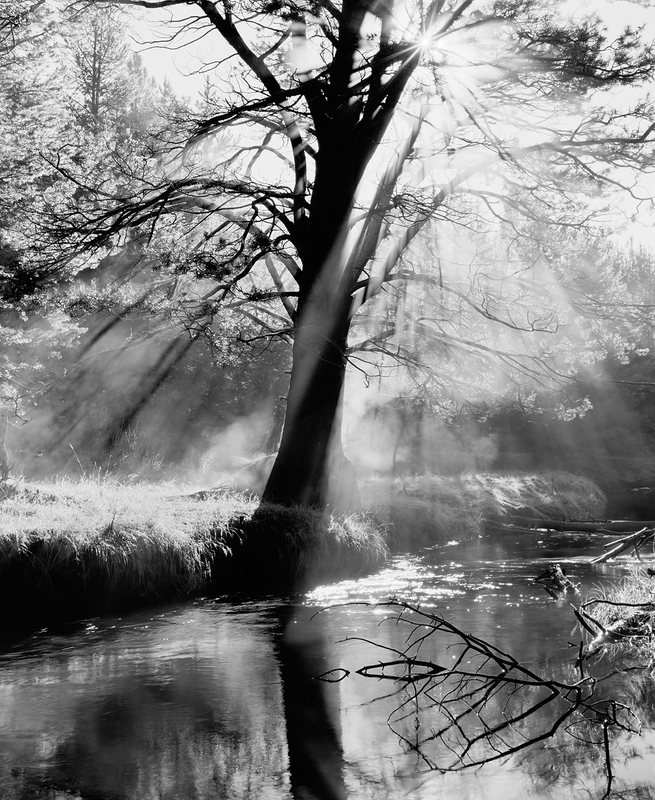 Steaming Tree, Light Rays & Reflections black & white Photo by large format photographer Jon Paul. When the magic happens, all is right in the world. This was one of those moments. After several days of rain, and a relatively cold night, the rising sun heated the dark, wet tree and created steam. A scene I have walked by numerous times was transformed into a mystical wonderland. It was thrilling to experience. As the steam filled the air, obscuring the forest beyond, and filtering the rays of sun breaking through the branches, I immersed myself in the experience. This isn't a mere photograph. This is a translation of what I feel when Mother Nature is kind enough to let the magic happen.